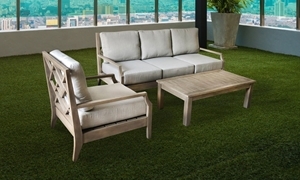 Chic patio set includes lattice back sofa and chair plus matching plank-top cocktail table crafted from certified sustainable eucalyptus. 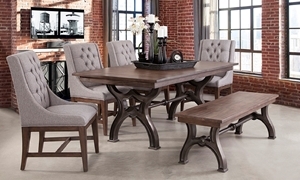 Sophisticated dining set with four upholstered host chairs includes a 76-inch table and matching bench with industrial metal trestle bases. 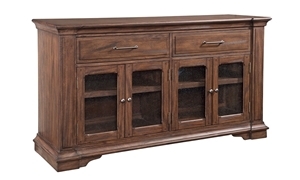 Dining room server in a timeless brown finish features a pair of full-extension drawers and glass panel cabinets with adjustable shelves. 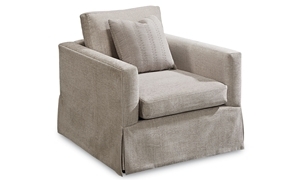 Skirted track arm chair tailored in linen-blend upholstery with deep seating wrapped in feather down. Includes one patterned toss pillow. 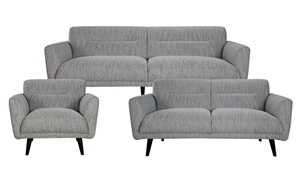 Modern flare arm sofa, loveseat and chair hand-tailored in heathered gray fabric with tufted, tight backs and deep, wrapped coil seating. 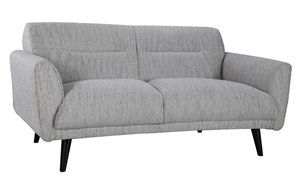 Sofa hand-tailored in modern gray fabric features a tight back and supportive wrapped coil seating for fuss-free style and lasting comfort. 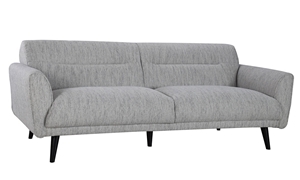 64-inch apartment sofa hand-tailored in modern gray fabric features a fuss-free tight back design and comfortable wrapped coil seating. 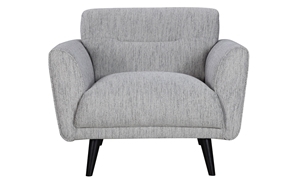 Flare arm accent chair hand-tailored in modern gray fabric features a tufted, tight back design and deep, wrapped coil seating. 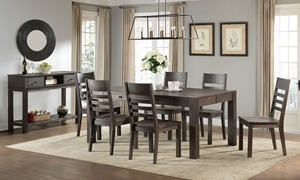 Streamlined set crafted from solid acacia includes a 60-inch storage table and four slat back side chairs in a wire brushed cocoa finish. Captain’s bed, 6-drawer dresser and beveled mirror with subtle details in a dark walnut finish create a warm and sophisticated twin bedroom. Captain’s bed, 6-drawer dresser and beveled mirror with subtle details in a dark walnut finish create a warm and sophisticated full bedroom. Soft gray linen-look recliner features mid-century touches like a high, button-tufted back and stylized, self-welted track arms. Haynes has been a leader in the furniture industry for over 120 years, and we would love to show you why. Come in or browse online to see the huge selection and legendary value that have made us Virginia’s number one furniture store. From classic traditional bedrooms to sleek contemporary leather sofas, we have everything you need to make your home even more beautiful and comfortable.